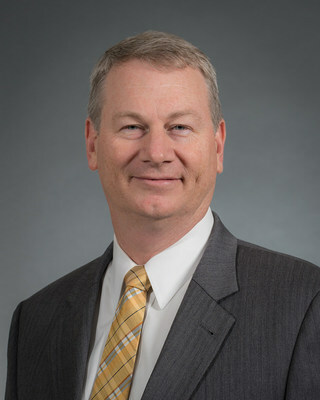 WALTHAM, Mass., March 26, 2019 /PRNewswire/ -- Raytheon Company (NYSE: RTN) Chairman and CEO Thomas A. Kennedy announced today the appointment of Wesley D. Kremer as President, Raytheon Missile Systems (RMS), succeeding Dr. Taylor W. Lawrence, who informed the company of his intention to retire from Raytheon on July 14, 2019. 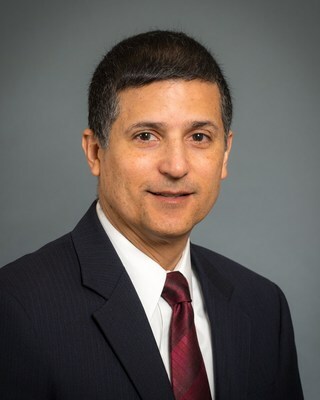 Additionally, Kennedy has appointed Ralph H. Acaba President, Raytheon Integrated Defense Systems (IDS), succeeding Kremer. The new appointments are effective March 30, 2019. Dr. Lawrence will serve as a senior advisor to the company during the interim period prior to his retirement. "Over the past decade, Taylor has led RMS through a significant period of technological and business growth. His leadership has set the foundation for future business success and we thank him for his extensive contributions to both our customers and our nation's security," said Kennedy. In commenting on the company's new leadership appointments, Kennedy added, "Wes and Ralph each bring extensive technical and operational expertise to their new roles. Their customer relationships and proven leadership capabilities will serve our company well as we enter a new period of technical advancement, product innovation and global growth." Kremer, who joined Raytheon in 2003, was named a corporate officer and President, IDS in 2015. Previously, Kremer was vice president of the Air and Missile Defense Systems (A&MDS) product line at RMS, where he managed the SM-3®, SM-6®, Exoatmospheric Kill Vehicle (EKV) and Redesigned EKV (RKV) programs, as well as Advanced Kill Vehicles and European Missile Defense efforts. Kremer previously served as the director of Raytheon's SM-3 program, where he was responsible for the development, testing and production of all variants of the SM-3 missile portfolio. He had previously served as the director of Systems Design and Performance Engineering, leading an organization of more than 1,700 engineers responsible for the systems engineering; modeling, simulation, and analysis; guidance, navigation and control; and signal processing design for all Missile Systems programs. Kremer served 11 years in the U.S. Air Force as a weapon systems officer, flying the F-111 and F-15E, with more than 1,500 hours of flight time in fighter aircraft, including over 90 combat sorties in Iraq and Bosnia. He was the first person to be named the top graduate of both the Electronic Warfare Officer course and the Fighter/Bomber course at Specialized Undergraduate Navigator Training. Kremer was ranked first of 411 graduates and named as the Air Training Command Navigator of the Year for 1989. He received his bachelor's degree in electrical engineering from Montana State University and his MBA in engineering technology management from City University of Seattle. Kremer will be based at RMS headquarters in Tucson, Arizona. 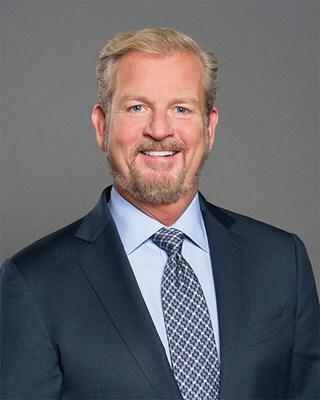 Acaba joined Raytheon in 1986 and has held a series of increasingly senior leadership roles in the company, including director of the Patriot Systems business, director of Maneuver Protection Programs, and program manager for the Joint Land Attack Cruise Missile Defense Elevated Netted Sensor program. In 2013, Acaba was named vice president of Raytheon's Integrated Air and Missile Defense portfolio within IDS, which includes all aspects of the global Patriot Air and Missile Defense System, Hawk Air Defense System, and National Advanced Surface-to-Air Missile System business, supporting customers in more than 20 countries. He was named a corporate officer and vice president of Raytheon Program Management Excellence in 2017, where he was responsible for the continuous improvement and implementation of program management best practices and automation across the company's more than 8,000 programs. In this role, Acaba also led the development and certification of the company's program leaders. Acaba received his bachelor's degree in electrical engineering from California Polytechnic State University, San Luis Obispo, California, and his master's degree in electrical engineering from the University of Southern California. In his new role, Acaba will be based at IDS headquarters in Tewksbury, Massachusetts. Dr. Lawrence retires after serving more than 13 years with the company, including over a decade as President, RMS. Prior to leading RMS, Dr. Lawrence served as Raytheon's vice president of Engineering, Technology and Mission Assurance. In that role, he guided the company's vision and provided corporate leadership in the strategic areas of technology and research, engineering, operations, performance excellence, Raytheon Six Sigma™ and Mission Assurance. Previously, Dr. Lawrence was sector vice president and general manager of the C4ISR and Space Sensors division for Northrop Grumman Electronic Systems. Before joining Northrop Grumman, Dr. Lawrence served as the staff director for the Select Committee on Intelligence for the U.S. Senate and, previously, as deputy director of the Information Systems Office of the Defense Advanced Research Projects Agency. He also held a variety of scientific and research leadership positions, including deputy program leader of the Advanced Imaging, Imaging & Detection Program of the Lasers Directorate at the Lawrence Livermore National Laboratory; senior staff scientist of the Research and Development division of Trex Enterprises; and research assistant and undergraduate research fellow in the physics department at the California Institute of Technology. Dr. Lawrence holds a bachelor's degree in physics from the California Institute of Technology and a master's degree in applied physics from Stanford University. He earned his doctorate in applied physics from Stanford in 1992. He is a member of the Caltech Board of Trustees, the Caltech Space Innovation Council and a recipient of the Secretary of Defense Medal for Meritorious Civilian Service. Headquartered in Tucson, Arizona, Raytheon Missile Systems also has locations in Alabama, Arkansas, Kentucky, New Mexico, Oklahoma and Texas, as well as oversight of the operations of Raytheon UK and Raytheon Emirates. RMS' broad portfolio of weapon systems supports every mission area of its customers, including air-to-air, land combat, naval weapons, strike weapons, missile defense, guided projectiles, directed energy systems, and combat and sensing systems. The business continually develops and invests in new, innovative technologies to provide rapid, high-quality, affordable mission capability to its customers. RMS is the world's leading producer of weapon systems for the United States military and the allied forces of more than 50 countries. Missile Systems had 2018 sales of $8.3 billion and employs more than 16,000 people. Headquartered in Tewksbury, Massachusetts, IDS has 31 locations around the world and provides oversight of the operations of Raytheon Australia and Raytheon Saudi Arabia. Its broad portfolio of weapons, sensors and integration systems supports its customer base across multiple mission areas, including air and missile defense systems; missile defense radars; early warning radars; naval ship operating systems; C5I™ products and services; and other advanced technologies. IDS provides affordable, integrated solutions to a broad international and domestic customer base, including the U.S. Missile Defense Agency, the U.S. Armed Forces and the Department of Homeland Security. IDS had 2018 sales of $6.2 billion and employs 14,700 people. Raytheon Company, with 2018 sales of $27 billion and 67,000 employees, is a technology and innovation leader specializing in defense, civil government and cybersecurity solutions. With a history of innovation spanning 97 years, Raytheon provides state-of-the-art electronics, mission systems integration, C5I® products and services, sensing, effects, and mission support for customers in more than 80 countries. Raytheon is headquartered in Waltham, Mass. Follow us on Twitter.